The average price ranges from $3 to $7 per square foot installed. You can expect to pay $8,400 to $19,600 to have an average-sized two-story house completely outfitted by a professional. Having a contractor remove existing siding can cost an additional $1,000 to $3,000. The cost depends on a number of factors that are discussed in the next section including style, manufacturer, thickness and contractor chosen. Costs can be as low as $100 to $300 for a 100 square foot panel (or “square”), so if you are willing to do the installation yourself, you can save a considerable amount of money. How Many Exterior Sq. Ft. is a Typical Home? According to the United States Census, the average house is a two-story, 25’ by 45’ (2250 sq. ft. of floor area) and has a 2800 square foot exterior. This can be calculated by adding up the wall lengths and multiplying by the height of the house (10’ per story). (25’ + 45’ + 25’ + 45’) x 20’ = 2800 square feet. 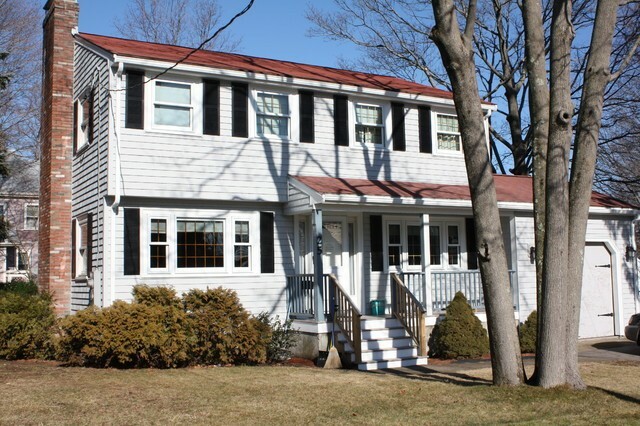 Let’s use the same size house as above (2800 exterior square feet) to outline an example bid by a certified and bonded contracting company using siding that is 0.046″ thick. The following costs do not include any fascia, soffit or window trim. Note: This purpose of this example is to provide ballpark cost estimates and does not represent a bid for your particular project or location. There are many factors and options that affect the price. It is important to know that even the simplest choice can significantly raise or reduce the total cost of the project. Vinyl siding itself is fairly inexpensive and can be priced anywhere between $1 and $10 per square foot depending primarily on its quality (thickness) and type (style, profile and texture). Thicker grade siding (highest grade is around .052”) is always more expensive than thinner grade (builder’s grade is .040”). The thicker it is, the better its life expectancy, fade resistance and durability. Simpler styles with little or no extras or textures are always cheaper. Remember that a higher price does not always mean better quality and sometimes due to a well-known brand name. It’s always a safe idea to go with a mid-range price. Homes that are larger and/or have unusually shaped or placed windows and walls take longer to side and require more materials. Installing trim pieces, crown molding, soffits, fascia and window channels are not always included in price estimates and can significantly add to a project’s cost depending how much detailing work is required. Some contractors will charge around $3 to $6 per linear foot for these features. It is advised to select a contractor that clearly outlines these in their bid or includes them in their “per 100 square feet” quote. Installation costs vary considerably based on the type (general contractor, siding specialist, etc. ), quality and experience of the installer and the location of the project. Some homeowners choose to install everything themselves to completely avoid the cost of labor. Note: If you do not have any handyman skills or are unsure about any part of the installation process, it is advised that you trust the project to a professional so that it is correctly, on time and under budget. While it cannot be avoided, the location of the project can have a significant impact on the cost of labor and materials. Areas with higher demand for vinyl siding, lower supply of materials or contractors and/or a higher cost of living will all experience higher project costs. Vinyl siding is a plastic exterior cladding used for weatherproofing and decorating buildings that has been around since the late 1950s and has a number of functional and decorative benefits over its alternatives. Its alternatives are aluminum, fiber cement or the more traditional wood siding as well as other competitors such as brick, stucco and concrete. It is made up of about 80% polyvinyl chloride (PVC) resin and the rest of the ingredients make it durable, flexible and resistant to impact as well as providing its color, gloss and opacity. It is the most common exterior cladding used in Canada and the United States for residential buildings, accounting for 71% of new single-family homes completed in 2016 according to the US Census. 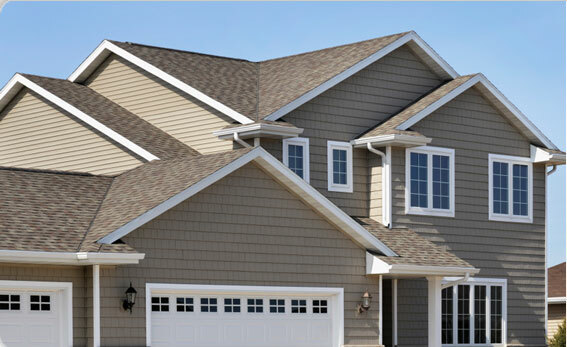 Vinyl siding comes in a wide variety of colors and styles. Homeowners can choose from reds or blues, warm (gray, green) or cool (orange, brown) earth tones, or colors such as: mocha, ivory, clay, wheat, cabin, regatta, driftwood and cypress. If the perfect fit can’t be found, custom colors can be created in most cases at an additional cost. Beaded Seam – Beaded seam is one of the most popular styles that offers a traditional, clean look. Its lines are emphasized due to a rounded bead on the bottom of every clapboard course. These beads emulate the ones that were handcrafted on wood siding used in the southern US in the early 1800s. This style is available in many different colors that can suit almost any décor and layout. Smooth – this is the simplest style as it has no texture on its surface. Homeowners who want a clean and simple look often pick this one. Board and Batten – Board and batten has alternating narrow and wide strips and is available in either vertical or horizontal configurations. It is also known as barn style and typically has a rough texture that looks and feels like cedar wood. Shingle – Shingle (or shake) styles can have a staggered edge design that creates a hand-built and rustic façade or a straight edge that looks uniform, well-aligned and modern. Other types to consider include: dutch lap, vertical, cabin board and shakes. 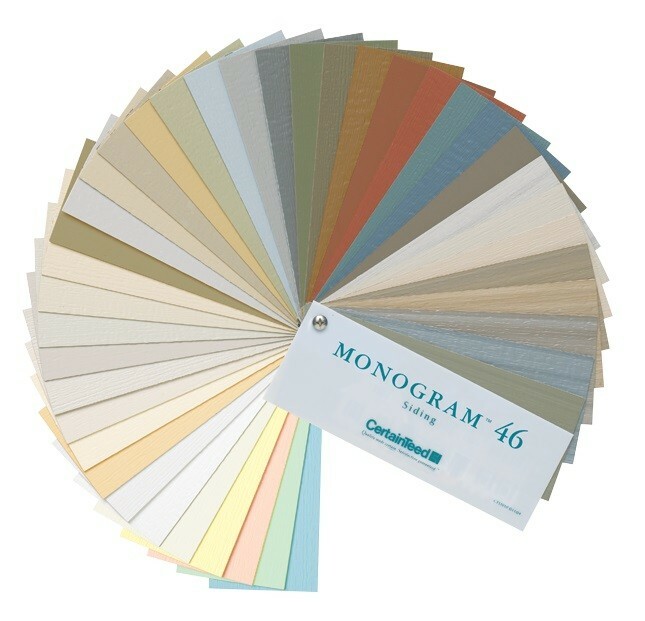 Variety – As mentioned above, consumers have a huge variety of colors, thicknesses, textures, profiles and styles to choose from. Low Maintenance – One of its most attractive features is that it is easy to care for. It only requires mild dish soap and water for cleaning and does not need frequent repainting as wood and aluminum do since its color can last for 25 years or more. Affordable – Not only is it cheap to maintain, but it also much more affordable than other cladding materials (such as wood, metal and fiber cement) to have installed. Additional money can be saved by motivated homeowners (who have some do-it-yourself experience) that opt to install the siding themselves. Durability and Longevity – It is extremely durable. It resists impacts well, can handle and maintains its original color for a long time as it is made from PVC resin that is colored all the way through. It also doesn’t attract insects like wood does and it resists the entry of animals and moisture. Having it installed is a significant investment in a home’s appearance and resale value. Homeowners should spend the time and effort required to find a contractor who is trustworthy, knowledgeable and transparent so that it is done properly for a reasonable price. The best way to start is to seek recommendations from friends or relatives. They may have first-hand experience with reliable contractors in the area. Get bids from any and all siding installers in your area to get an idea of the price range available. Research their reputations and read reviews online to help determine their professionalism and work quality. It is a good idea to choose one who has many years in the business and is willing to provide the contact information of past customers as references and photos of previous work. Signs of poorly done work include warping, separation, ripples, sags and bulging. Also ask to see their licenses, certifications and their insurance coverage. Finally, don’t be afraid to ask questions. A good contractor welcomes all questions and concerns from their potential customers. Have you had vinyl siding installed in the past? Have an estimate for a project and not sure if it’s too high? We would love to hear from you! Please leave a comment below on your experiences.